Our first floor redecorating project had been on hold for a couple months. We're happy to be back at it. I mean, what a difference some curtains make! 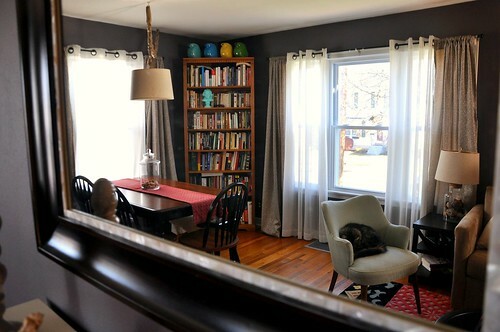 Our original plan was to hang some bright, coral-colored panels. And I had actually found exactly what I wanted at Burlington Coat Factory for $10 (great deal -- it was Waverly!). However, I think the reason it was on clearance was because "it" was an IT. As in singular; there was only one panel. My mother-in-law and I pawed through each and every curtain in the store and couldn't find any matches. 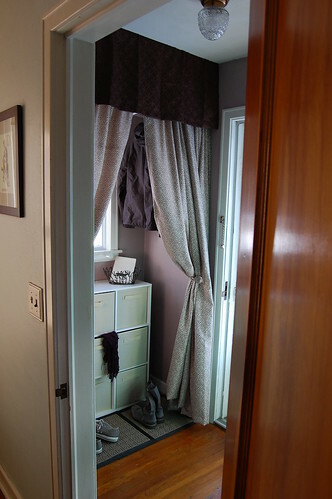 These curtains may look familiar. It's because we've had them for years. Until last weekend, they were hanging in our front entryway. You know, the one we redid a little less than two years ago? They aren't what we had originally envisioned. Right now, though, spending $0 versus around $80-$100 that we had estimated is ideal. The front entryway has suffered as a result . . . but we have some other panels we'll eventually replace them with. 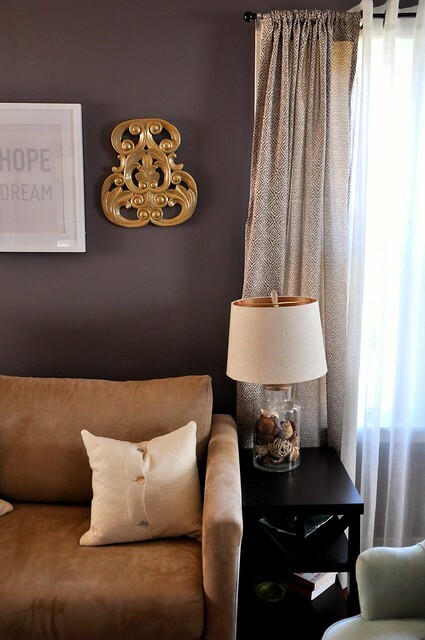 Do you do the whole home decor shuffle, too? I feel like we're always borrowing things from one room and putting them in another. Yes. 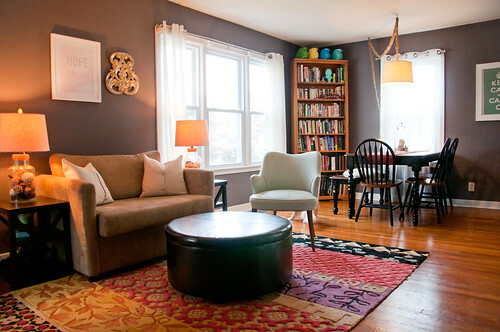 We REALLY need to re-shoot our house tour. If you haven't checked out Meg's guest post (and tasty, simple apple pie recipe), I encourage you to do so now. 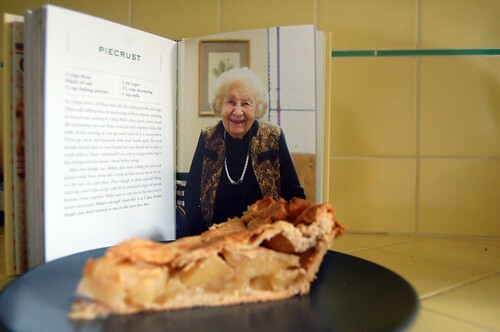 Her new book -- Little Old Lady Recipes -- came out earlier this month. I'm big on photos in cookbooks. And the photos in the book are seriously fantastic. The approach is something I've never really seen before, connecting the author of the recipe to the dish. You get a feel for these "sassy" ladies this way (and through their quotes and Meg's observations/anecdotes). And though not all items are vegetarian, the mix of breakfasts, soups, sweets, and other meals is sure to please. Plus, the recipes are great in that they are s.i.m.p.l.e. Classics like Pigs in a Blanket, for example, can easily be adapted by making s.i.m.p.l.e substitutions. 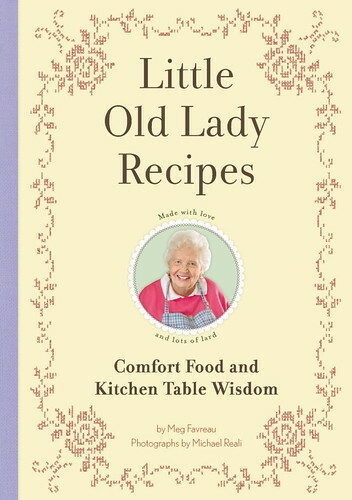 WHAT YOU'LL WIN: 1 (one) copy of Meg Favreau's Little Old Lady Recipes. Value: $14.95. TO ENTER: Leave a comment with the word SASSY in the mix. IN ADDITION: Tell us something about one of YOUR favorite family recipes. If you're new to the blog or interested in all-things-pregnancy, check out (never home)maker, baby! today. I've organized all our baby-related posts in one place. Yup -- It's 9 months in 1 post . . . and I can't believe how close we're getting!